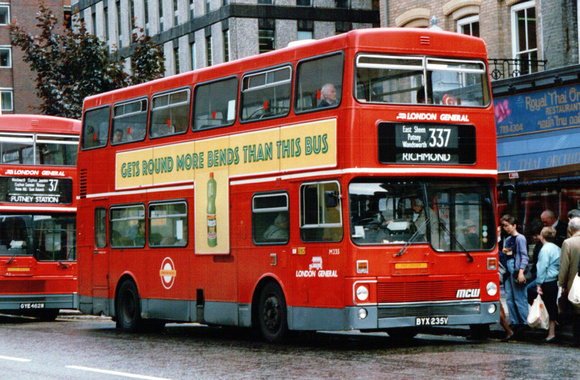 Low floor double deck introduced. The running numbers are unusual in that they are letters. 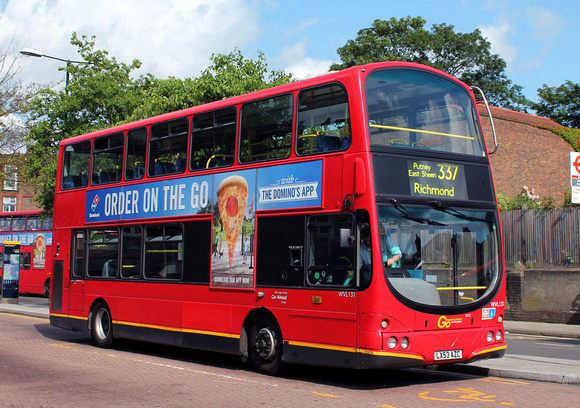 The meal breaks for route 337 were at Richmond Bus Station during the day - the late turn duties meal breaks were back at Hounslow garage as you kept the same bus. But due to the buses running in finishing there was nowhere to park - so we were told that we could stay at Richmond - all buses at start or finish of duty run out of service.